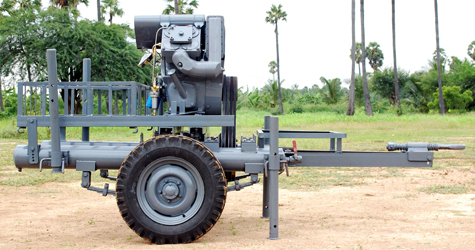 Balaji Compressors are Valve type Air Compressors that can be mounted on Tractors, Trailing Trolleys and for stand alone electric power supply. 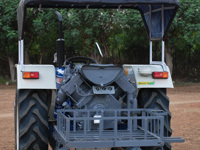 The Below Picture shows a Trolley Mounted Air Compressor that can be powered by any tractor. 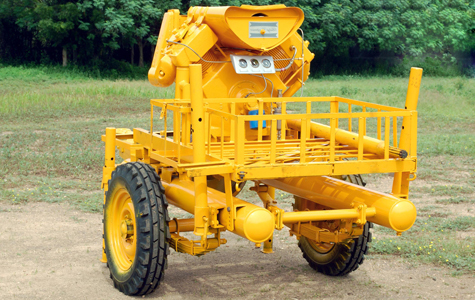 The main advantage of this Trolley type model is that it can be transported to any place with speed. 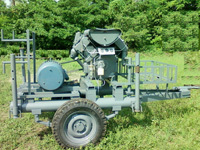 Jecps, Tractors and any Construction Industry Vechile digble to tow can move this compressor quickly. 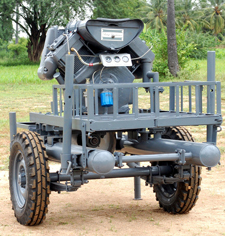 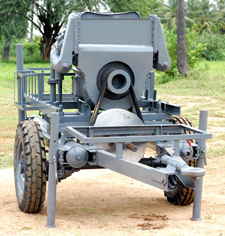 The Side view shows a complete Trolley Mounted Air Compressor with suport legs on four sides and Metal carriage to carry accesories.